By adding an extra night in Flåm you have the possibility to go on an excursion to experience the Nærøyfjord, which has been added to UNESCO's list of world heritage sites. 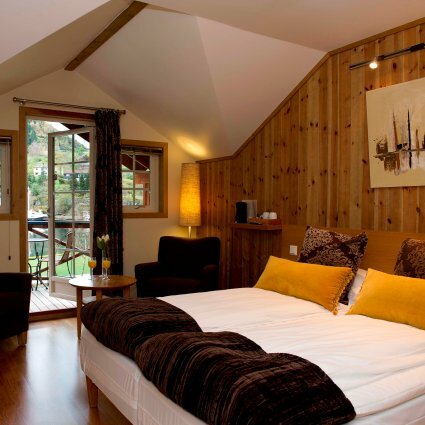 Our preferred hotel in Flåm is Flåmsbrygga Hotel, but please note that there are only two hotels and one apartment hotel in the fjord village of Flåm. If Flåmsbrygga Hotel is fully booked we will book Fretheim Hotel or Flåmsbrygga Marina as an alternative (no changes in the price). Although the hotels differ in style they are all comfortable tourist class hotels and are used for all hotel categories. Scandinavian breakfast buffet is included.